Stan Lee’s Los Angeles Comic Con announces Entertainment Weekly as the Official Media Partner of the 2017 edition of the 3-day pop culture extravaganza set for October 27-29 at the Los Angeles Convention Center. As the Official Media Partner, EW will collaborate with L.A. Comic Con to enhance and elevate talent participation and programming for the over 100,000 attendees expected for this year’s 3-day mega-convention. Plus, EW will feature all the fun and excitement of the Convention in the magazine as well as on EW.com. And to top it all off, each and every badge holder will receive a one-year subscription to America’s leading pop culture magazine, with a total combined audience of 26 million consumers.Attendees purchasing their 3-day badges during the limited pre-sale period can get the coveted passes at the pre-sale price of only $70 dollars, a savings of $10 dollars! 2017 marks the 7th year for Stan Lee’s L.A. 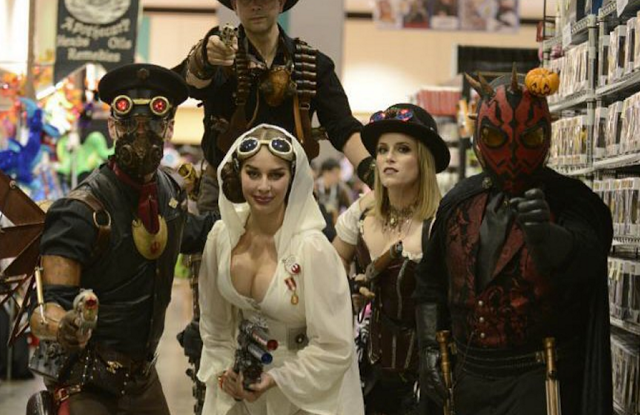 Comic Con, which has grown into one of the largest gatherings of stars and creative talent in comic book, publishing, gaming, film, broadcast, cable, and streaming entertainment. “Thanks to fans throughout Southern California, Stan Lee’s Los Angeles Comic Con has emerged as the largest celebration of our town’s pop culture icons under one convention center roof. 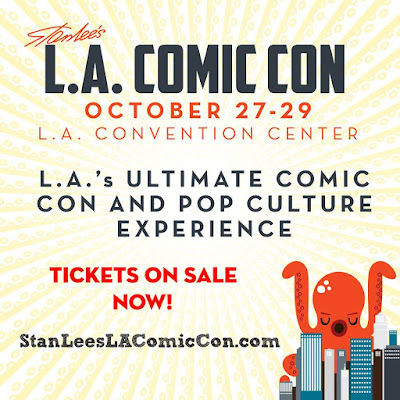 Now, joined by ENTERTAINMENT WEEKLY as the Official Media Partner, the 2017 convention promises to be a once-in-a-lifetime opportunity to rub elbows with today’s most beloved stars in comics, sci-fi, fantasy and horror entertainment,” said Stan Lee’s L.A. Comic Con CEO Keith Tralins. “We are thrilled for EW to be the Official Media Partner of Stan Lee’s Los Angeles Comic Con, and excited to help make the 2017 Convention the biggest and best ever. We look forward to offering a one-year subscription to every attendee, where they’ll find smart and funny coverage of their favorite franchises and stars,” said Henry Goldblatt, Editor in Chief of ENTERTAINMENT WEEKLY.